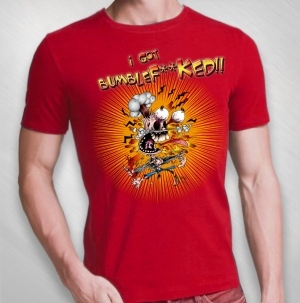 Fiery red t-shirt featuring winning artwork of the "i got BumbleF**KED!!" contest, by El Kartun. If you've tried & survived Bumblefoot's hottest sauce, now you can proudly let the world know you got BumbleF**KED! !